Are you digging the backpack trend? Check out all of these backpacks ranging in colors, sizes and prices — perfect for all! Happy hump-day sweet friends!! This week is going by so fast and my to-do list is not getting any shorter. Why are there not enough hours in a day?! Anyway, today’s post is all about the backpack trend that’s been around for a few months now. I’ll be honest, at first I wasn’t digging it but after some time I really started to like it. I don’t own a backpack yet — I’ve been looking for the perfect style, and if you’re like me, I hope you find one in this post. So let’s get started! Starting with my favorite color, blush — all of these are adorable! I really like the simplicity of the pink and gold backpack, it’s simple and classic — it can really go with almost any outfit. Now, if you LOVE the look of the super expensive Chloe Backpack, then I think you might enjoy this Chloe dupe, it’s under $60!! 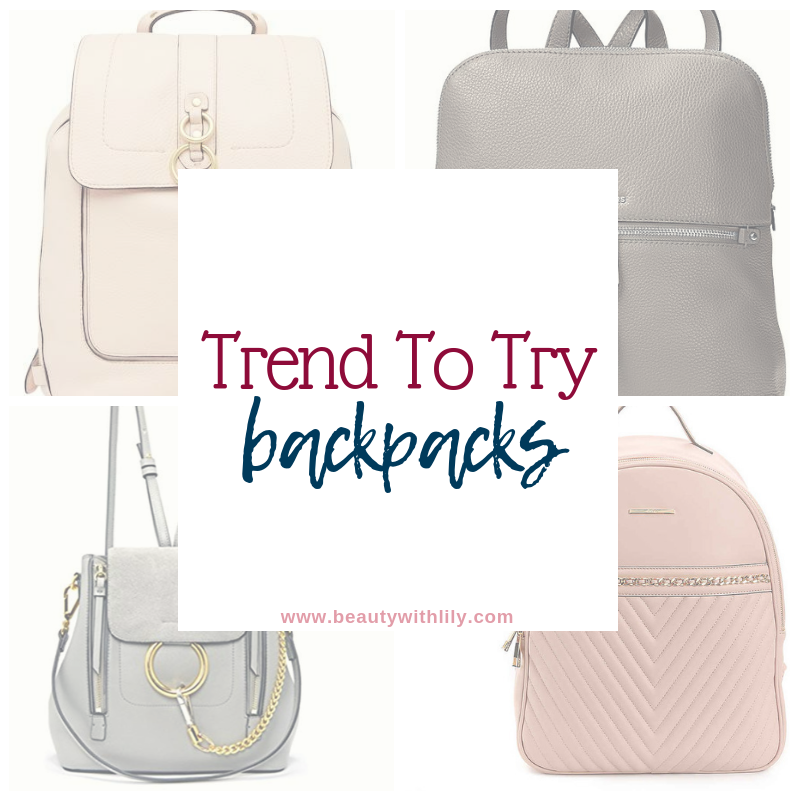 If you are more of a neutral gal, then you will really appreciate the beige selection of backpacks. If you want something that’s neutral but still has something that gives is a wow factor, check out this tan backpack with a subtle leopard print. So cute! If you’re looking for something more with color, than this burgundy bag might be the one for you. Thank y’all for stopping by, I hope y’all enjoyed this post and found the backpack trend a fun one that you want to give a try now. Are you into the backpack trend? What’s your favorite style of bag? Enjoyed this post? Then please share it on Pinterest and with your family and/or friends! It’s greatly appreciated!